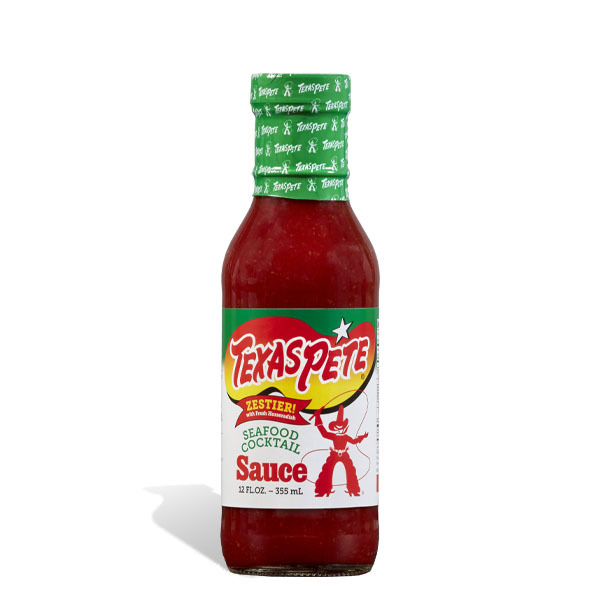 Texas Pete® Seafood Cocktail Sauce offers hints of fresh horseradish. From a highfalutin party to a gathering at your home, this zesty, sweet sauce brings the zing to the table. 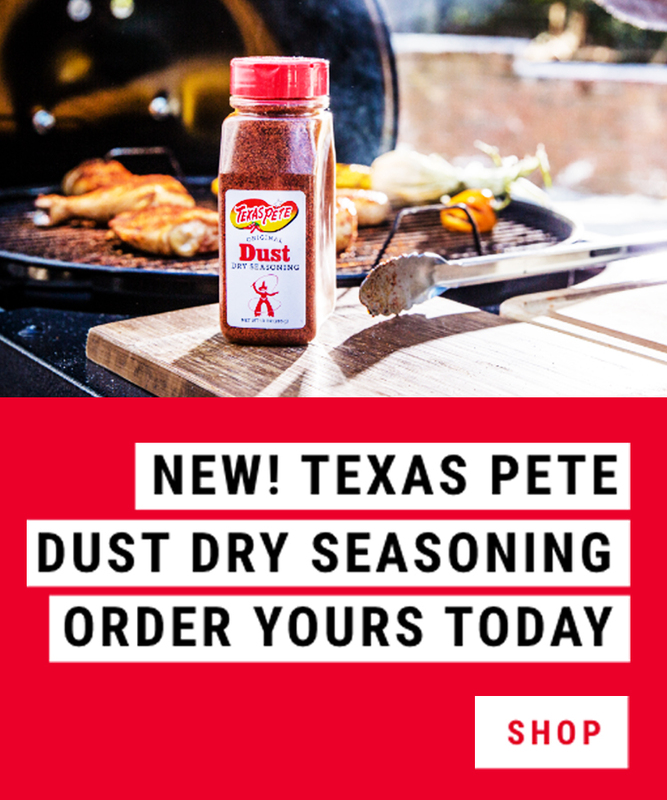 Tomato Paste, Fresh Horseradish, Vinegar, Sugar, Hot Sauce [Vinegar, Aged Peppers ( Peppers, Salt, Vinegar), Water, Xanthan Gum, and Benzoate of Soda (To Protect Freshness and Flavor)], Salt, Garlic Powder, Spice, Citric Acid, Onion Powder. Manufactured on a line that produces products with a soy allergen.